No Myrtle Beach real estate resource would be complete without mentioning one of the biggest developments here - Carolina Forest. Although not in the middle of the beach or next to the ocean, this family community is one of the most popular in the Grand Strand and offers a lifestyle that few will be privileged to enjoy. It is designed around three of the best golf courses in the area, the Man O'War, Wizard, and Witch, and reflects the landscaping and golf community atmosphere that is so scenic and peaceful to everyday life. Each neighborhood comes with lakes and nature trails to enjoy as well as amenities such as pools and recreation facilities. Read more about Carolina Forest real estate. 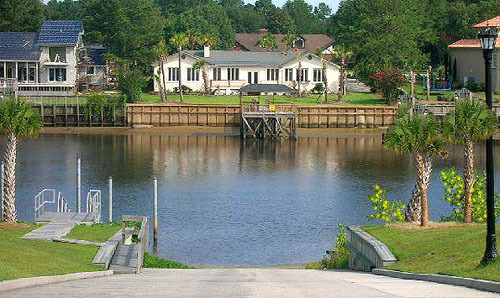 Carolina Forest consists of a 9000 acre planned community centered between Hwy 501 and Hwy 17 Bypass near 48th Avenue. Not only does it have its own high school, middle and elementary school, but these schools are amongst the best in South Carolina. The 501 entrance is also near Coastal Carolina University and Horry Technical Institute. So family and education are a big part of the benefits of living here. You'll also find businesses, physicians, dentists, attorneys, and grocery stores that make the convenience of being a resident even more inviting. Carolina Forest is like a city-within-a-city, and stands apart from most others. 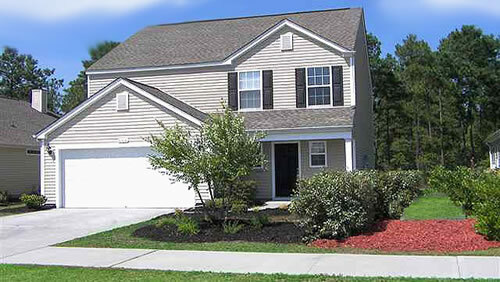 Subdivisions within Carolina Forest include affordable starter homes in Spring Lake, Bellegrove Oaks, and Avalon. The luxury-based, often gated communities like Plantation Lakes and Waterway Palms Plantation are often situated on the Intracoastal Waterway. There are still lots and new homes available in Carolina Forest, with builders like Centex, DR Horton, Beazer Homes, and others. If you are looking to build a home to your specifications, choose a waterfront mansion with boat access, or a quiet residence on a bike-friendly and safe street with a natural setting. Carolina Forest has it all. 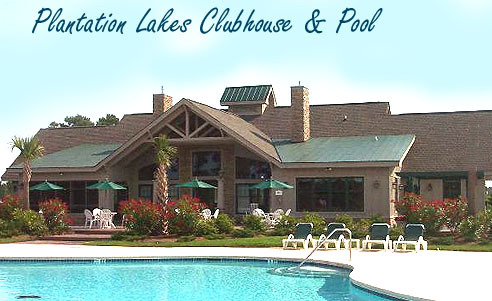 You should definitely add this to your list of possibilities when looking for a great place to live near Myrtle Beach.